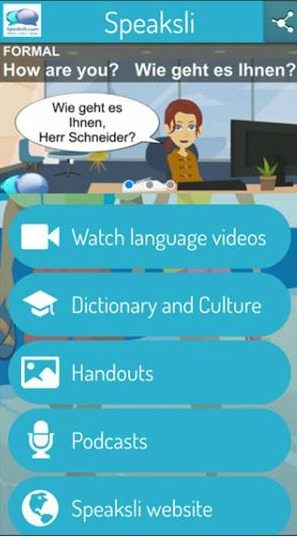 If you’re willing to learn to learn new languages or perfect any language that you already speak, we have the best app to help you. 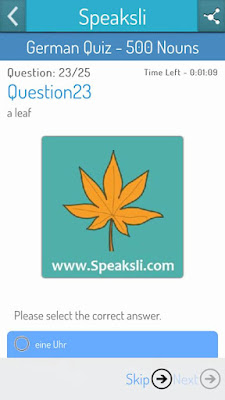 Speaksli is a freshly developed education app on the Android and iOS platforms and it can help any user engage in the language learning process. The user interface is clean and tidy and the design is marvelous, with colorful and fun graphics. Speaksli offers tons of features that can educate you and keep you entertained at the same time. When you start the app, you will be able to choose from various options included in the main menu, like watching language videos, browsing dictionaries, taking quizzes, studying handouts, listening to podcasts, opening the app’s website, Facebook page or Twitter page, reading user testimonials, and much more. There’s even a feature where you can introduce yourself – write your personal information and what language interests you the most. 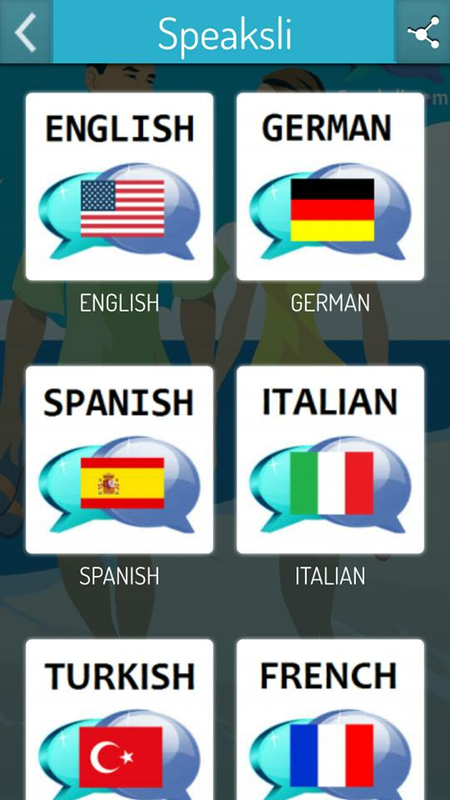 The app can teach you many languages: English, German, Spanish, Italian, Turkish, French, Russian, Swiss German, and soon Arabic, Japanese and Chinese. 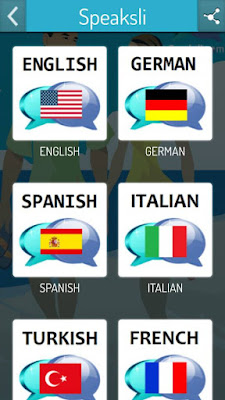 With Speaksli, you can watch and listen to foreign languages, in a new and innovative way. Download it for free from Google Play, the Apple App Store, the Windows App Store, or the Kindle/Amazon store, and share it with your friends and family.